This summer it seems that there isn’t much worthy enough to follow as far as new TV series goes. I kind of like the new Canadian tv series Rookie Blue and that’s about it. True Blood apparently comes highly recommended, but I am not that much into vampires, and I didn’t see season 1 and 2 yet. I do keep up with the What’s Alan Watching blog to see whether there is anything of interest coming up. 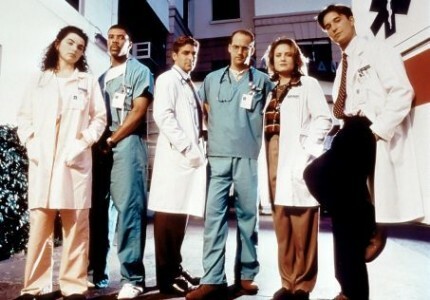 Lately I have been buying seasons of E.R. on DVD though to get some sort of tv series fix ! I never really followed it when it was aired at the time, but it’s still very enjoyable now. Let’s hope the fall will bring something remotely as interesting as E.R., Lost or Battlestar Gallactica, but it’ll be hard to fill the void ! Posted in Movies / TV and tagged e.r., summer, tv on 19/8/2010 by Eric.